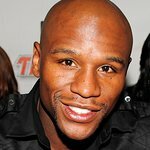 Floyd Mayweather Jr is an American former professional boxer and current boxing promoter. A five-division world champion, Mayweather won twelve world titles and the lineal championship in four different weight classes. He established the Floyd Mayweather Jr Foundation to empower community alliances, impact youth leadership, promote health and wellness, and strengthen family foundations. Google trends for "Floyd Mayweather"
We don't have any videos related to Floyd Mayweather.